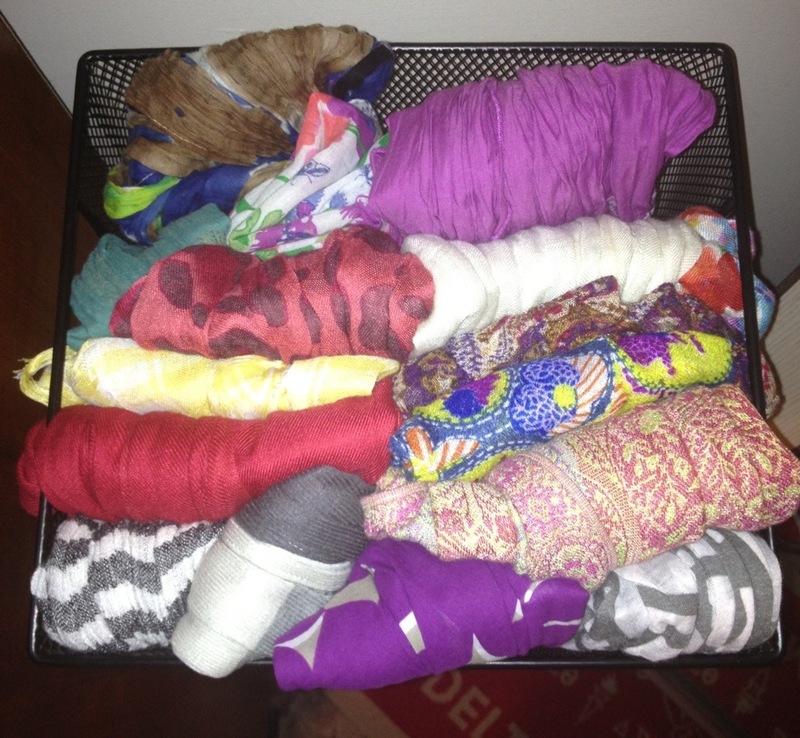 Home » Articles worth reading » Operation organize! Organizing has been my goal for the month of December. My main interest was my 2nd bedroom which functions as a “wardrobe”…every girl needs one! While visiting my dad’s house, I found an old shelving unit being unused. I didn’t know how it could be used but knew it could be used! I got to thinking about my scarves which hung from hangers versus being more organized in a manner which allows me to see them all. I had extra containers laying around and voila! Instant organization! I will say, I’m out of space as far as new scarves are concerned…but I’ll figure that out when the time comes. For now, I’m pleased! 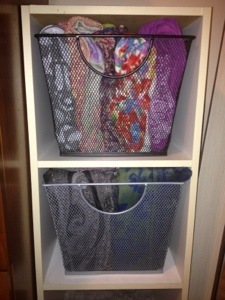 What closet organizational tips have helped you over the years?